The Tracking Tow Dolly is an alternative to the “A” Frame. Some vehicles are not “A” Frame compatible, so this is another option, and still only runs 50mm from the ground surface. It can be used with most of our Full-Sized Tracking Vehicles. 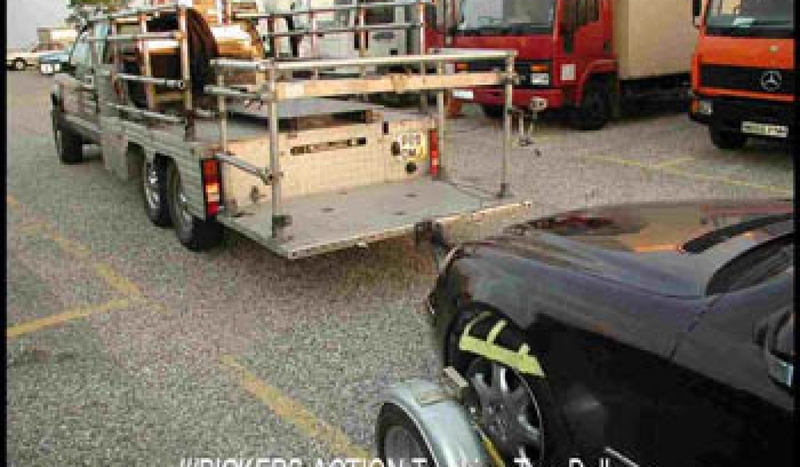 It is attached to the front Wheels & Tyres of the vehicle being tracked and then attached to the rear of the Tracking Vehicle. It enables the Driver/Actor to simulate Driving without controlling the vehicle being towed. 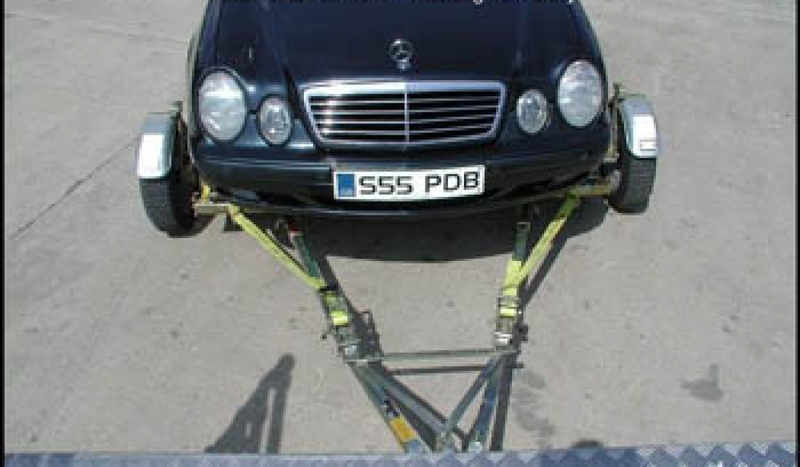 Most cars are compatible with the Tracking Tow Dolly; however, this system is NOT compatible with 4 x 4 Vehicles. Please notify our office prior to shoot of vehicle make and year so that we can advise. 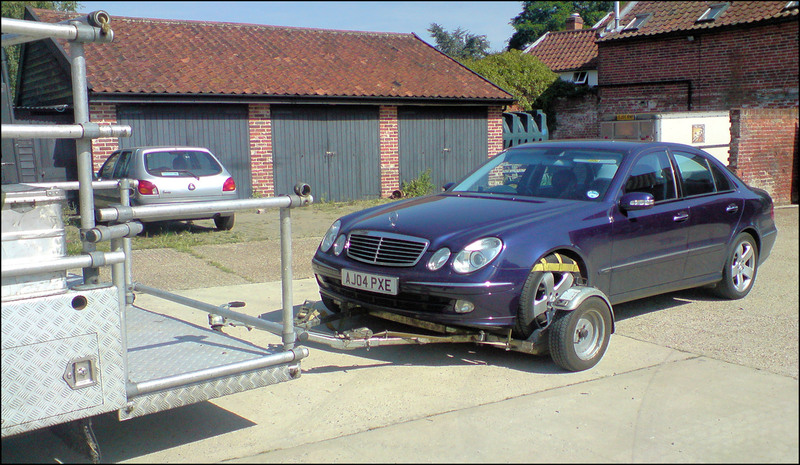 Always fitted by Bickers Experienced Precision Tracking Driver / Technician. If the vehicle we are tracking has low Bumpers or runs low to the ground. Vehicle is secured by the Tyres only, so the owner has no concerns as to marks or scratches on the suspension of a valuable / cherished car. More suitable for use with Non-Drivers – who have not even got a Provision License or are minors. Quick Set Up and Vehicle Changeover.